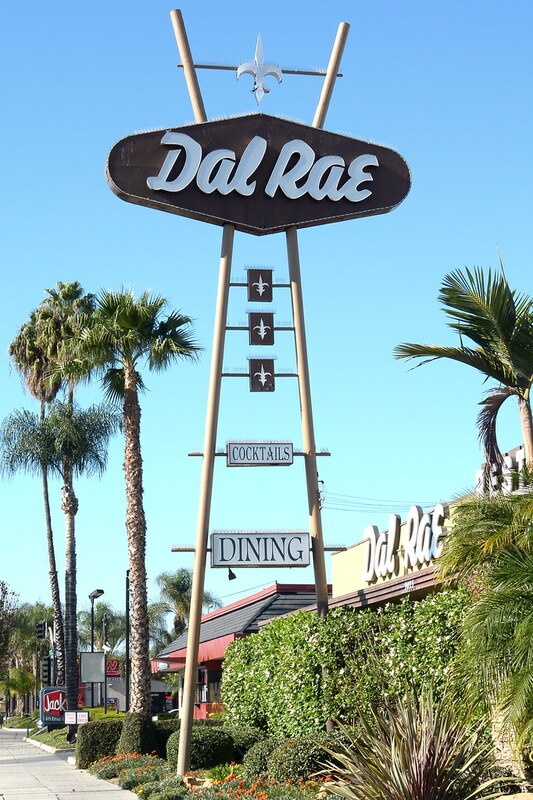 Continuing my streak of dining in Los Angeles’ finest institutions, my colleagues and I lunched at The Dal Rae in Pico Rivera. 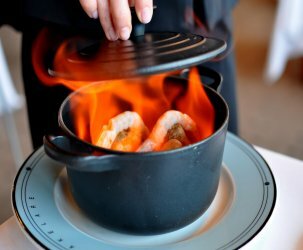 Opened in 1958, the restaurant is renowned for its menu of American steakhouse classics served with table-side flourishes, a marker of midcentury luxe Continental dining. 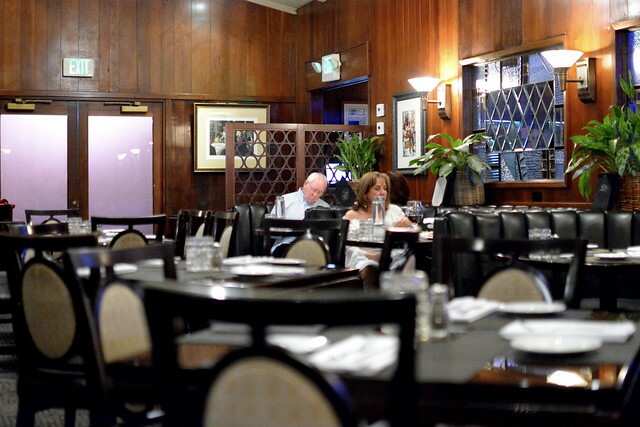 We happened to dine during restaurant week, so everyone in our party partook in the ever-so-slightly discounted menu. For $25, we were treated to a two-course lunch. 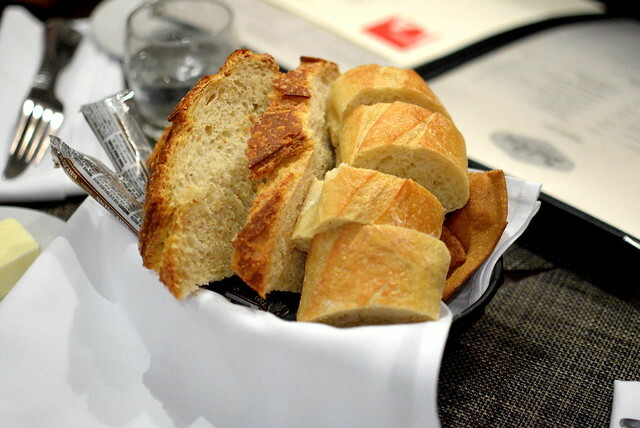 To start, a bread basket filled with pita crisps, sesame bread sticks, French bread, and sourdough. On the side was a pat of butter that was a touch too cool for maximum spreadability. One of my colleagues is a tremendous fan of baked brie, so we split an order for the table ($10.95). 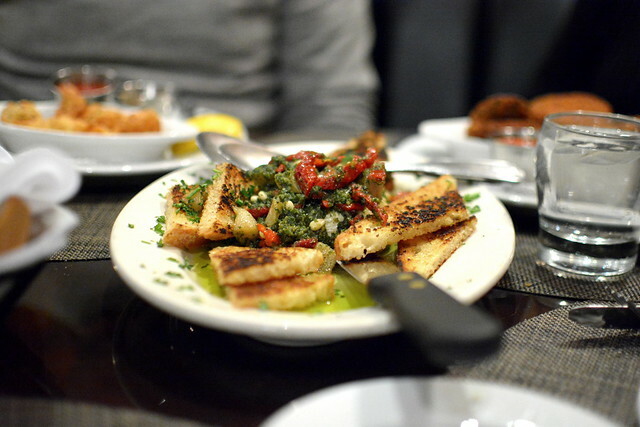 Dal Rae’s rendition featured roasted elephant garlic, pesto, pinenuts, sun-dried tomatoes, and crostini. The garlic was abundant and irresistible; breath mints were a must before tending to our post-lunch commitments. 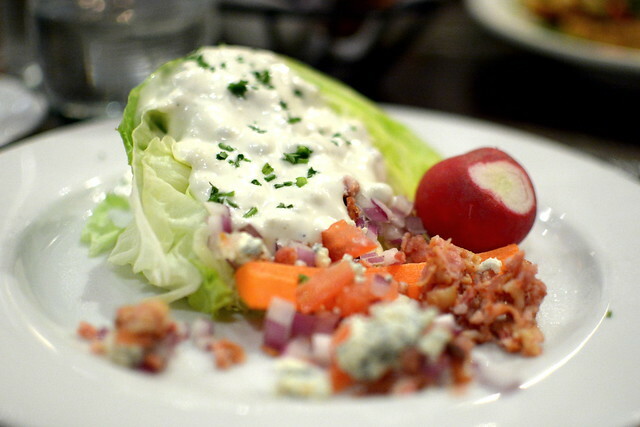 For my first course, I selected the “Wedge of Iceberg” with bacon, tomato, onion, and bleu cheese dressing. Crisp and cool, the salad was simple and well executed. 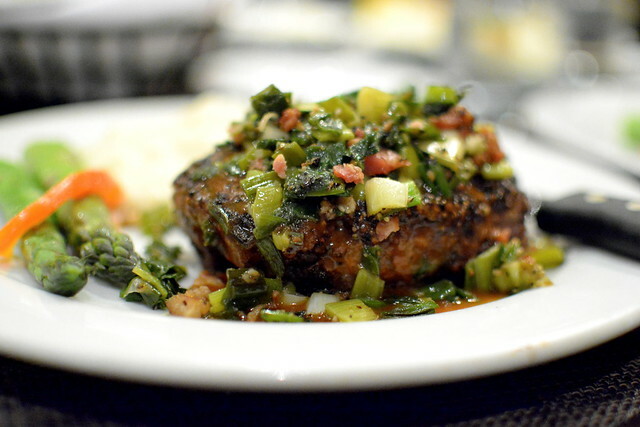 For my main course, I settled on the restaurant’s signature “Poor Man’s Pepper Steak.” The dish consisted of a thick patty of fresh-ground sirloin topped with a heap of “pepper sauce” (green onions, bacon, and peppercorn). Served on the side were asparagus spears and mashed potatoes. 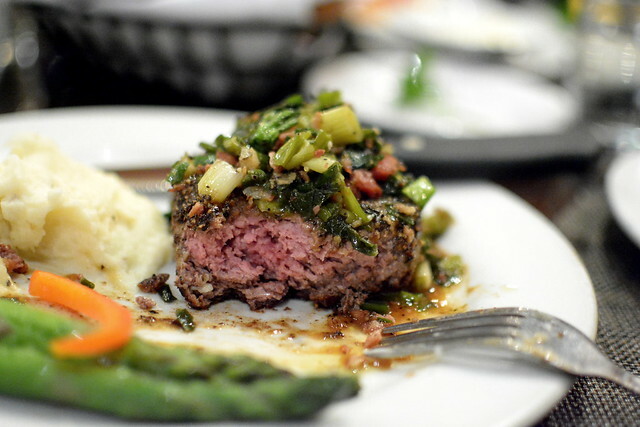 The steak was even more peppery than billed, which turned out to be too overpowering for my taste. 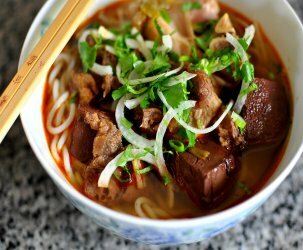 The bacon-scallion mixture was intriguing, but it was hard to really get a sense of it when the peppercorn dominated every bite. The Astronomer, a peppercorn enthusiast, quite enjoyed both my leftovers and my colleague’s (thanks, Juliam! ), so take my feedback with a grain of salt pepper. 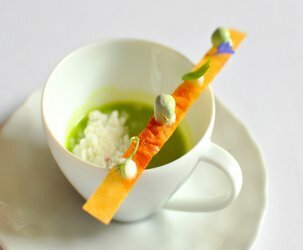 Lunch at The Dal Rae was a fine blast from the past, but not one that I’m in a rush to experience again soon. If lunch had been stronger on the food and service front, I would’ve certainly come in for dinner to experience the restaurant’s table-side service. Even though I’m an old person and want to support old restaurants, I must admit that they’re not all for me. Eight years ago: Just Married!